Since being founded in 2013, anti-legalization organization Smart Approaches to Marijuana (SAM) has consistently presented itself as supporting a balanced middle-ground approach between incarceration for consumers and the commercialization of cannabis. But it has never clearly described what it thinks police and government agencies should do to people caught possessing marijuana instead of putting them behind bars or just ignoring them. In a new document uploaded to SAM’s website last week, the group lays out “several key points to be addressed in model legislation” for cannabis at the state level. 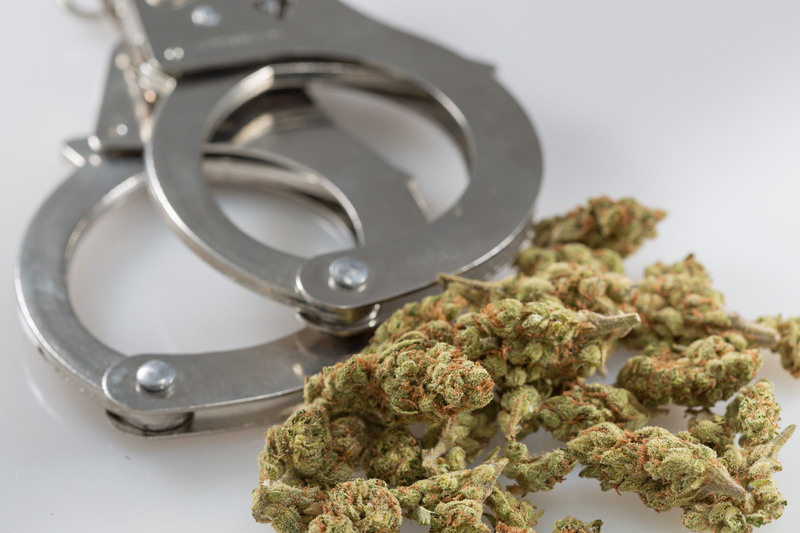 If the police catch someone possessing a small amount of marijuana once, the person is directed to a “mandatory assessment of problem drug use.” If they are diagnosed as having a substance use disorder they are then forced to undergo treatment. If they refuse, presumably they’d be incarcerated or otherwise punished in some way. But even if it is determined that the person is “not a problem” user, they still get directed to “social services” to dig into “other life factors” associated with their decision to consume cannabis. SAM representatives did not respond to Marijuana Moment’s request for clarification about whether and how people would be punished for refusing mandatory assessments, treatment or participation in social services programs. While the organization this year endorsed New Jersey decriminalization legislation that would require people caught with marijuana to undergo assessments, the new blog post appears to be the first time the group has made a considerable effort to articulate its favored alternative to cannabis legalization despite repeated promises over the course of years that it would “soon” release information about its policy aims beyond just impeding efforts to end prohibition. @SanhoTree There are plenty of non-legalization alternatives that are also non incarceration. We will unveil some soon. Under the new plan, it appears that most people caught with marijuana would have to pay for treatment themselves. Kevin Sabet, SAM’s president, has consistently said in interviews that he doesn’t seek to punish people for consuming or cultivating marijuana at home and is merely concerned with stopping “Big Marijuana” companies from commercializing addiction. But his organization has repeatedly opposed legislative proposals to allow possession and limited cultivation with no sales. Nonetheless, the group opposed a 2014 ballot measure in Washington, D.C. to legalize low-level possession and homegrow, as well as legislation in Vermont this year to allow the same thing. Neither proposed to create a legal, commercialized cannabis sales market and instead allows adults to “gift” marijuana to one another in line with Sabet’s statement. Both measures were enacted into law over SAM’s objections. Perhaps tiring of standing on the sidelines yelling “no” to legalization to no avail, the group is finally preparing to try its hand in shaping policy. It remains to be seen if the new “model legislation” document leads to a more hands-on role in the cannabis legislative process for the prohibitionist organization.